Get Involved - You'll Be Glad You Did. Get Involved – You’ll Be Glad You Did. 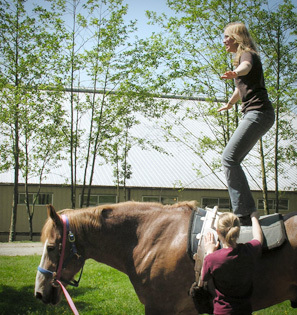 There are many ways for you to get involved at Timberline Ranch. Look here for Positions Available (full-time, seasonal, and volunteer). We are always in need of dedicated, hard-working staff and volunteers who love God. If that’s you, we’d love to hear from you! The schedule below lists Timberline’s camps and training sessions for staff and volunteers. To find out specific information on any of these events, you can select the event name in the schedule. We are also in the midst of a major upgrade of the facilities at Timberline, and we are in great need of resources as well (see projects page for details). If you would be willing to donate financially, or you have materials or equipment that you think we might be able to use, please call our director (Craig Douglas) at 604-463-9278, extension 26, or drop him an email. Leaders in Training Mar 15-21, 2019 16-18 $269 Acceptance req’d. Staff Training Jun 21-24, 2019 16+ Free Acceptance req’d. SWAT Team Training Jun 21-26, 2019 18+ Free Acceptance req’d. Please note that all ages refer to the person’s age by December 31 of that year. GST will be added on to all staff camps and training programs.